The Eagles girls knew what was at stake and stepped onto the court with belief and determination. The Eagles circle defence of Dané and Helena were impenetrable with turnover after turnover, and their teammates didn’t let the opportunity pass to capitalise on their hard work, by converting each chance with some well-timed and disciplined movement and passing down the court, and into the shooters. The end of quarter 1 was 9-1 to Eagles. Royals reacted positively in the second quarter having identified that the Eagles shooter Marta was a key player, not only dominating the circle but shooting well. Royals applied more pressure onto Marta disrupting the Eagles attack and forcing errors in the feeding. Royals pulled the score back to 13-7. The halftime team talk improved the attack decision making with Maddi and Annabel working well together moving the ball around the D, linking in well with Charlotte at GA forcing the Royals defence to work harder. This improvement together with continued defensive pressure applied by Maddi and Sarah around the Royals attacking circle, allowed Eagles to increase their lead to 21-12. There had been signs in the 3rd quarter that the girls were tiring with some careless passing so Caitlin (who had already played a whole game for the u11s) was brought on to bring some fresh energy into the attack for the final quarter. 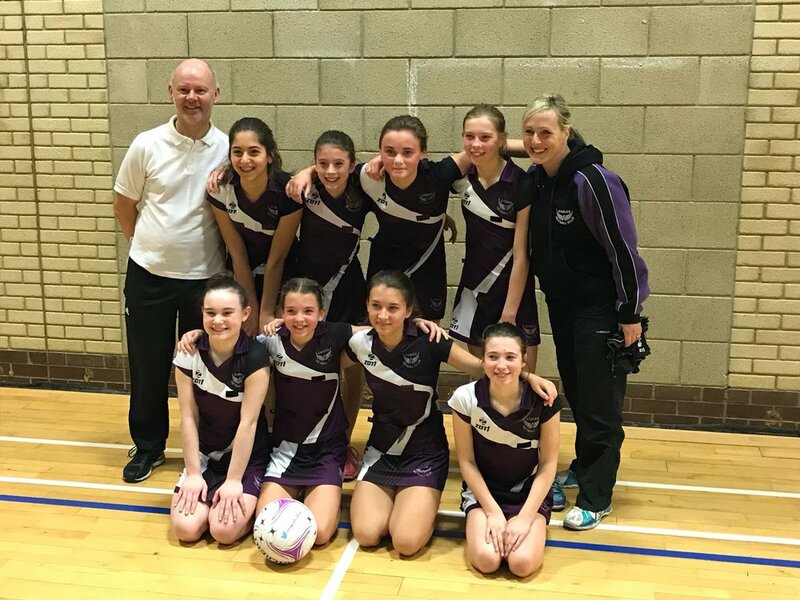 This change coupled with the girl's unquestionable desire to not only win, but win well, led to an impressive and sustained display of Netball. The whole team defended hard, turning the ball over throughout the court, ending the game just as they had started despite the tired legs, and Marta held her nerve and shot brilliantly putting away goal after goal. The final result was 36-16 to Eagles... what a great performance! Well done to Maddi who was voted player of the match by Royals.